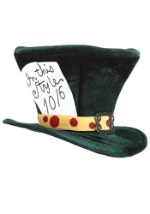 "Only a few find the way, some don't recognize it when they do - some... don't ever want to." 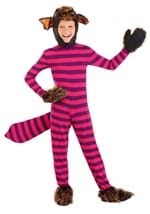 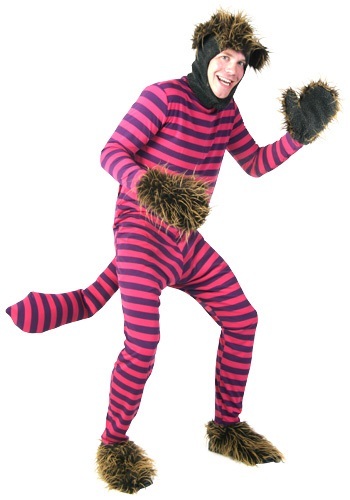 This plus Cheshire cat costume jumpsuit has a zipper closure in the back so you can easily get in and out of the costume. 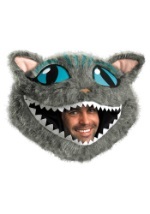 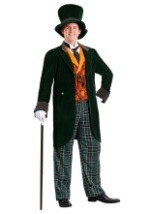 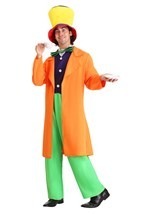 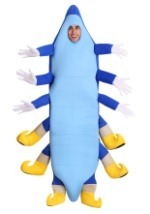 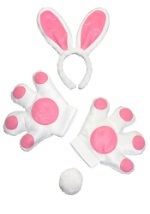 The attached plush tail and a matching headpiece with ears give the costume an authentic touch. 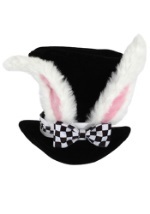 The headpiece has a fur patch down the middle and the ears are also covered in faux fur. 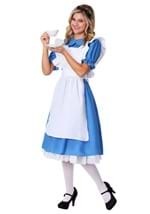 Matching faux fur mitts and shoe covers complete this Alice in Wonderland costume. 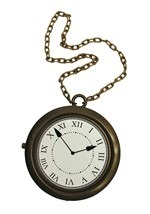 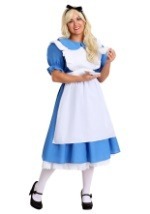 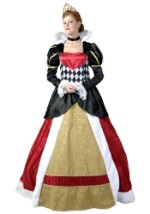 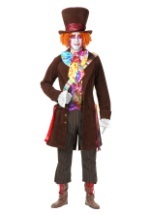 Chase the white rabbit around Wonderland for a great Alice in Wonderland couples costume!